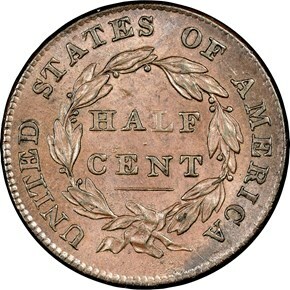 A single obverse die was paired with three different reverse dies to coin the half cents dated 1832. 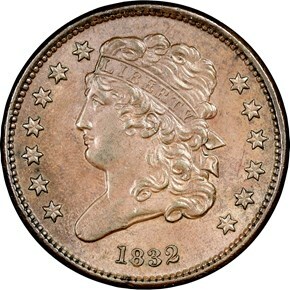 This would normally suggest a large mintage, yet 1832 half cents are the scarcest of the "common" 1832-35 issues. 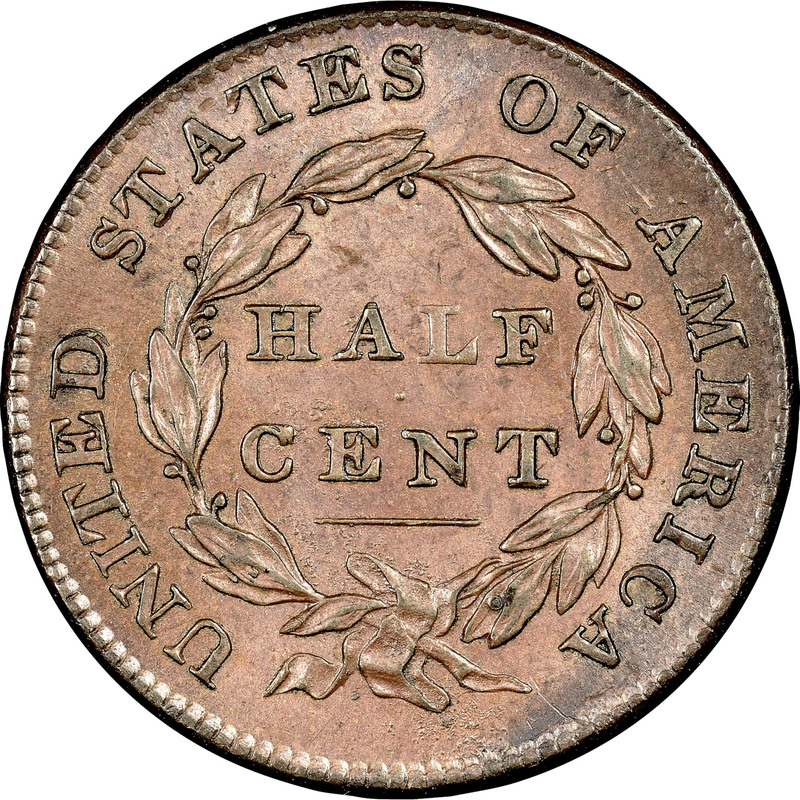 The number actually produced went unrecorded, with other sources reconstructing this mintage as either 51,000 or 90,000 pieces. All three varieties are common in circulated grades, and even Mint State pieces are available to interested collectors. C-3 seems to be the scarcer of the three C-1 is fairly common. 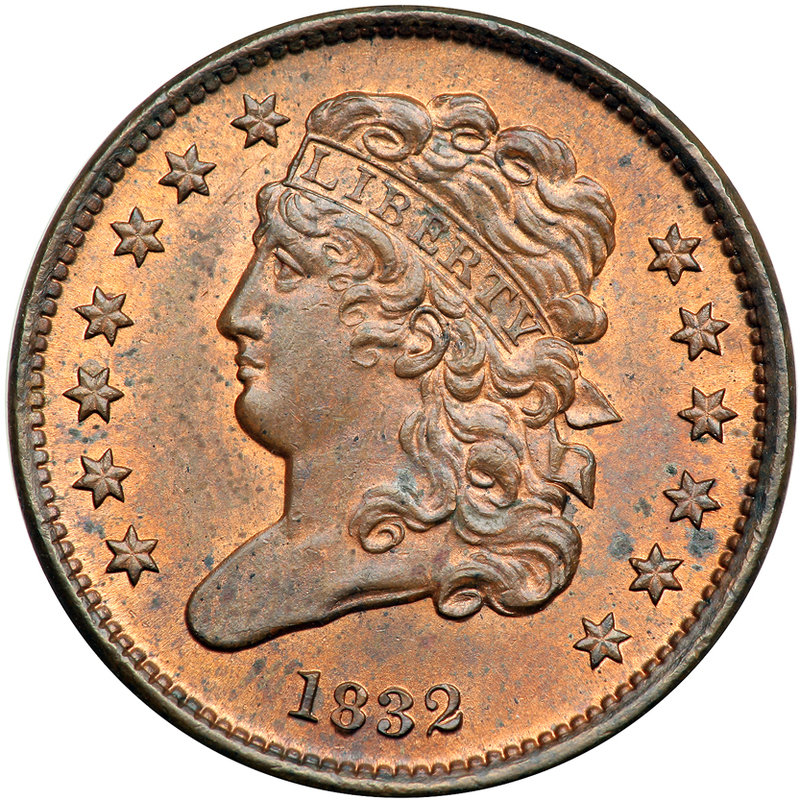 7/1/2007 — David Lange continues his retrospective of the border changes that have occurred throughout the history of U.S. coinage.